A "revolutionary" system of light modifiers lets you switch lights on and off and adjust their relative brightness in post production. Some cameras lets you adjust focus after a picture is taken. Now, you can do the same for your lighting. 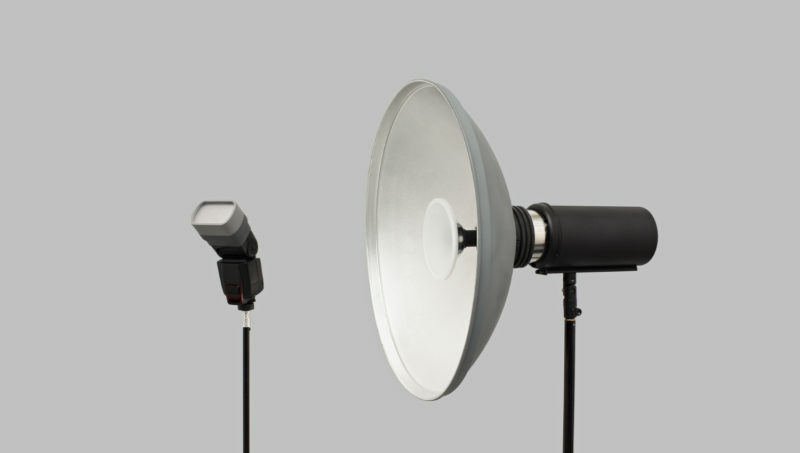 Isolite is a system of lighting accessories, created by Canadian startup Phototechnica, that splits your photographic lights into different wavelengths, allowing you to adjust the lighting ratios afterwards in raw editing. The company packages such a solution as a series of light modifiers including a speedlight attachment called the Dualite, which separates bounce light from direct flash so you can adjust the relative brightness of each in post processing. Another offering will be a beauty dish for studio lamps. Think of it like putting red, blue and green filters on your lights, then choosing your own mix of those channels in a black and white conversion. Gergeley told Lighting Rumours there is a bit more to it than that, however: “In theory you could say it is a fancy way to filter and convert black and white, but in practice [Isolite] is much more refined. “There are no off the shelf “coloured filters” that could separate each light source into specific wavelengths/channels. There is also no current software that can handle and/or apply the sensor data for this type of application. You can get a Dualite from CA$145, whilst a kit including a beauty dish will set you back CA$395. Phototechnica hope to raise CA$75,000 by 16 December 2017. For more information, visit the Kickstarter campaign page.